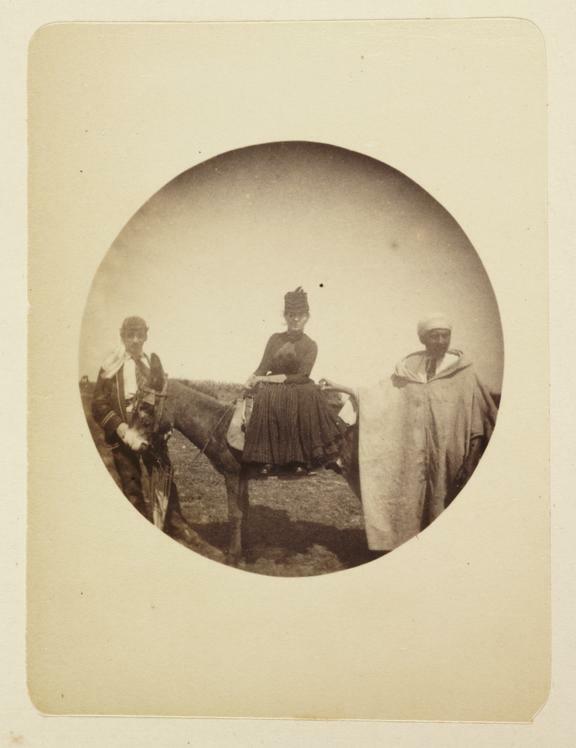 A Kodak circular snapshot photograph showing a woman riding a donkey, taken in North Africa by an unknown photographer in about 1890. The woman sits on the donkey side-saddle and is accompanied by two men. A Kodak circular snapshot photograph showing a woman riding a donkey, taken in North Africa by an unknown photographer in about 1890. The woman sits on the donkey side-saddle and is accompanied by two men.